This card gets +1 power for each Resource on it. 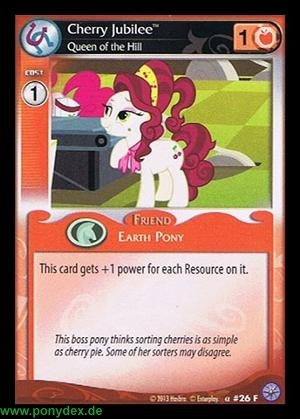 This boss pony thinks sorting cherries is as simple as cherry pie. Some of her sorters may disagree.